Data through March 2014 found that national credit default rates declined for the month, according to the S&P/Experian Consumer Credit Default Indices . The two groups offer a comprehensive measure of changes in consumer credit defaults. All five national indices (composite, first mortgage, second mortgage, bank card, and auto loans) showed a decline for the second consecutive month. The national composite recorded its lowest post-recession rate, posting a rate of 1.2 percent in March—the lowest the composite rate has been since July 2006. March continued the trend of declining rates, falling from February’s figure of 1.3 percent. The first mortgage default rate was 1.13 percent, another significant milestone, becoming the lowest level since September 2006. Month over month, first mortgage default rates fell from February's figure of 1.23 percent. "Along with signs that the economy is improving, consumer credit default rates continue to gradually decline," said David M. Blitzer, managing director and chairman of the Index Committee for S&P Dow Jones Indices. Second mortgage default rates posted .60 percent for March, down from .69 percent in February, and down from the March 2013 index rate of .69 percent. The companies cited a growing economy as fueling the decline in credit default rates. "Increasing jobs and growing income if upheld will provide a major boost to consumer spending. 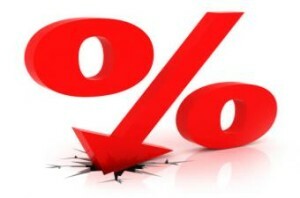 Consumer default rates have stabilized at levels similar to those seen before the financial crisis," the report found. The company commented on future concerns, noting specifically the increase in lending for car purchases to less credit worthy borrowers as well as the continued rise in student loan debt.